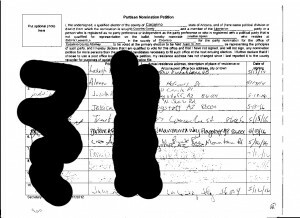 We succeeded in collecting 289 signatures. 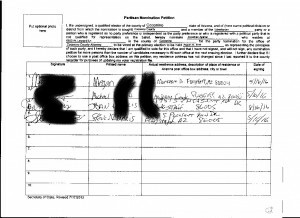 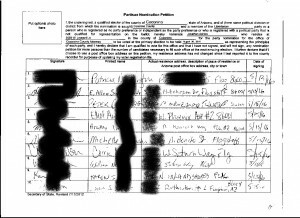 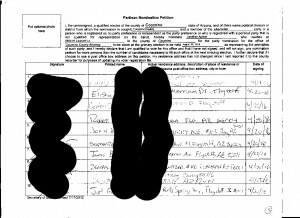 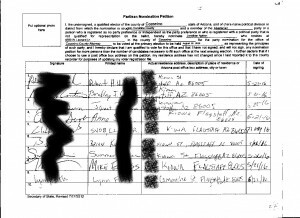 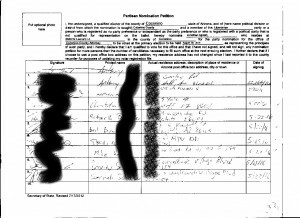 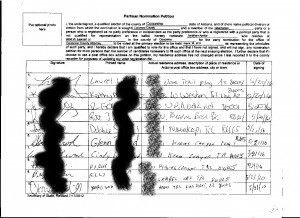 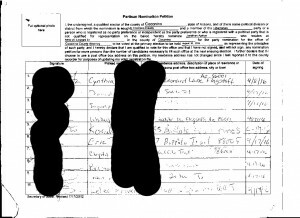 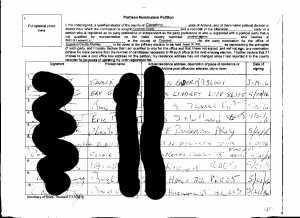 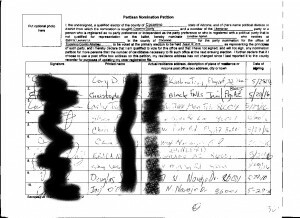 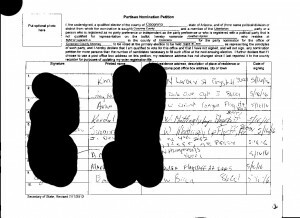 Scans of some of them are posted below (last names, signatures and address details have been redacted). 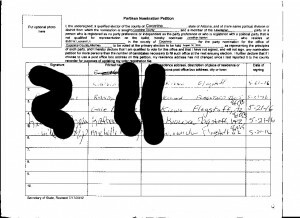 The minimum number required is 238. 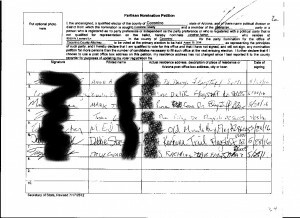 These signatures represent a hard fought effort by a group of excellent volunteers and myself. 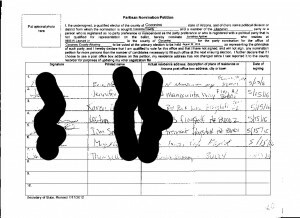 I want to thank Jennifer Miller, John Kistler, Drake Mitchell, Elisha Dorfsmith and of course, my wife, Cynthia Difranco, for the time they each spent helping with this. 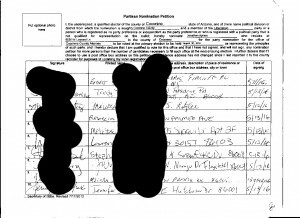 My wife and I spent all of the past several weekends as well as many afternoons walking door to door with precinct lists of Independent and Libertarian voters. 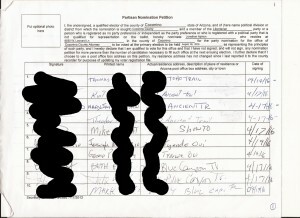 We and other volunteers also spent time collecting signatures at public events including Earth day, Farmer’s markets, outside the post office, at the entrance to Buffalo Park, at gun shows, etc.. 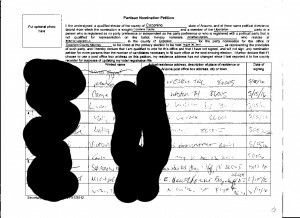 Unfortunately, I have decided that it would not be appropriate to submit these petitions as there are only about 210 signatures that I am confident would survive the scrutiny of an inevitable challenge. 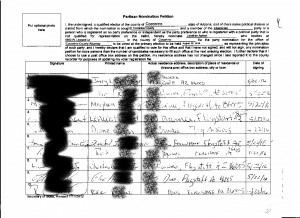 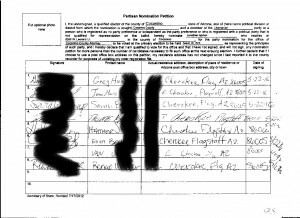 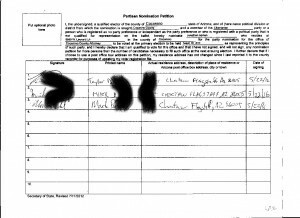 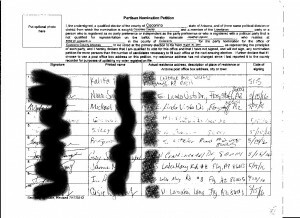 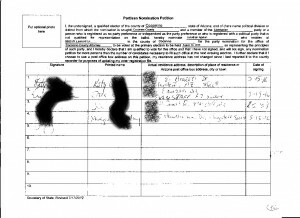 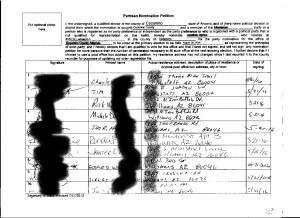 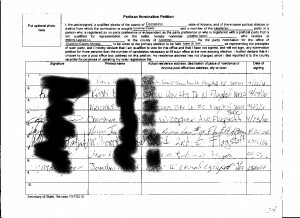 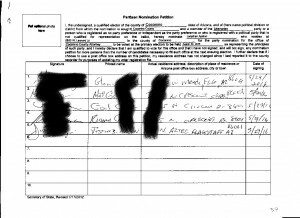 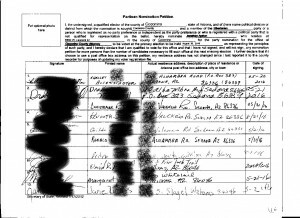 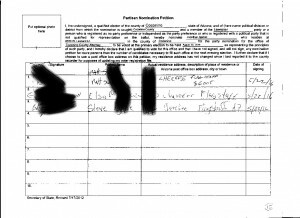 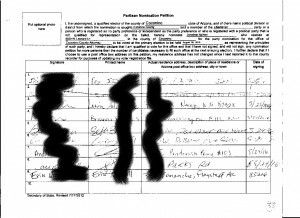 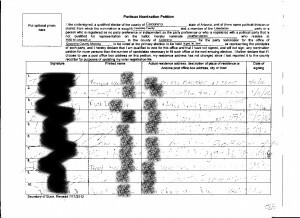 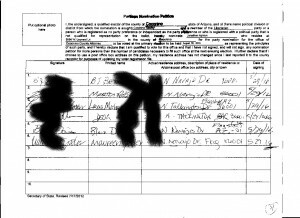 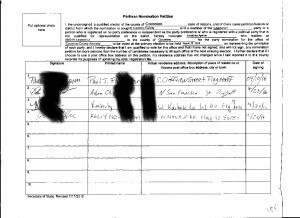 I will pursue a write in nomination in the upcoming primary election along with other Libertarian candidates who have found themselves in a similar position regarding signatures. 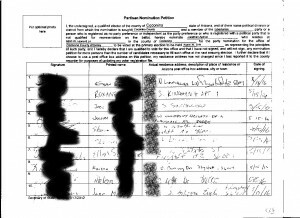 We are continuing with a challenge to the constitutionality of the current law and may succeed in achieving a reasonable change before the primary.